Short bio: Grant Sceney is the Creative Beverage Director and Head Bartender at the Fairmont Pacific Rim. 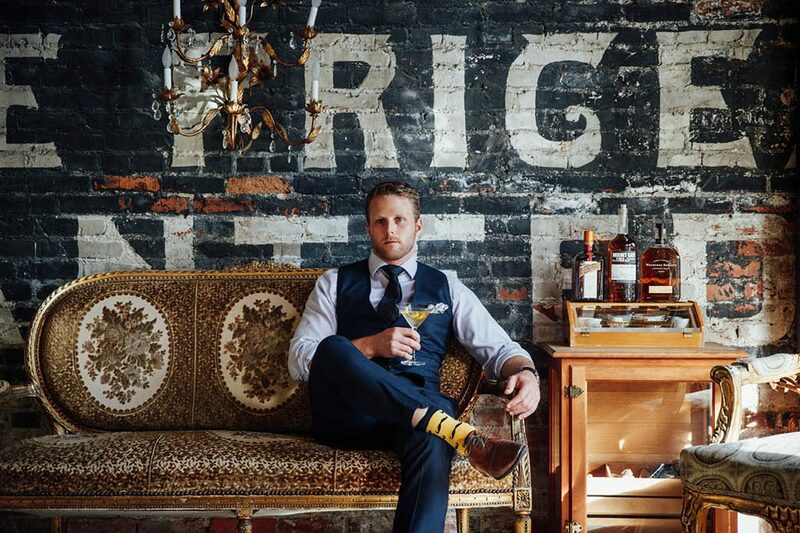 He has been named Canada’s Best Bartender and Vancouver’s Bartender of the Year. How often do you fly? Generally 1 week per month I’m travelling/flying, sometimes more. Earliest travel memory: When I was seven-years old we flew to Port Douglas in Australia to visit my aunt and uncle. Least favorite country: I would go back to every country I’ve visited. I have no desire to go to: North Korea. Country with the meanest immigration officers: USA. I live in Canada and travel to the US a lot for work so they are always suspicious of the amount of travel without a US or Canadian passport. Favorite World Heritage Site: Great Barrier Reef and the Serengeti. Favorite aircraft type: British Airways A380. Favorite airport lounge: Qantas First Class lounge, Sydney. Favorite U.S. airport: Dallas, Texas. Favorite international airport: A tie for Singapore and Tokyo. Favorite hotel: Other than the Fairmont Pacific Rim, 1 Hotel South Beach in Miami. Favorite cruise line: P&O. Haven’t spent too much time on cruise ships. Favorite travel credit card: TD First Class. Favorite beach: Crane Beach (Barbados) or Whitehaven Beach (Australia). Favorite National Park: Daintree National Park, Aus. Favorite fancy restaurant: Botanist (Vancouver), 11 Madison Park (New York), and Geist (Copenhagen). Favorite hole-in-the-wall: Erin Rose in New Orleans. Favorite airport restaurant: Carluccio’s (London Heathrow) and Sushi Kyotastu (Narita, Tokyo). Favorite bar: American Bar, Savoy. Favorite fruit: Fresh ripe mango. Favorite food: When travelling/flying, light salad wraps and Pringles. Otherwise the local cuisine in the country/city I am in. Least favorite food: Anything too greasy or sweet. I prefer savory and light. Drink of choice (in the air and on the ground): In the air: gin and tonic. On the ground: Negroni. Favorite travel movie(s): Into the Wild, Secret life of Walter Mitty, The Beach. Favorite travel show(s): Planet Earth, Human Planet, Parts Unknown. Favorite travel book(s): “Vagabonding.” Right now I am reading: Not reading, podcasts are my jam in the air. Ted talks are great. Top 3 favorite travel newsletters/magazines/blogs: Blog: thelifestyleempire.com. Magazine: National Geographic. Newsletter: Lonely Planet. Favorite travel website(s)—besides JohnnyJet.com, of course! TripAdvisor, Skyscanner, Lonely Planet, Expedia. 5 things you bring on a plane: A pen, headphones, neck pillow, computer, carry-on cocktail kit. What do you always seem to forget? Phone charger, in the air or at the hotel. What do you like least about travel? Delays out of your control, sprinting through airports to make the connection, and then finally getting to the gate sweaty hot and frustrated because you ran across two terminals. This happens too often and literally happened today as I write this. I normally fly in sneakers for this reason. What do you want your loved one to buy you from an airport Duty Free store? Tequila/mezcal or cognac/champagne. Favorite travel app(s): Any app that specific to the airline that is easy and functional. Passbook on iPhone is great for keeping all your tickets digital in one place. Most embarrassing travel moment: Losing my passport in Berlin, it was over a long weekend so the embassy was closed and I had to get the train to Copenhagen to go to a new passport to make my flight. When I landed back in Canada and unpacked I found my passport buried deep in my luggage. I’m embarrassed I haven’t been to: Bali, it’s normally the first country Australians travel too. Worst travel moment: I was left Cape Town to fly to Nairobi to meet my fiancé, it’s not the most developed airport and her flight was really delayed. I sat in under a tin shed for four hours in the heat with no way of knowing if her flight was delayed or cancelled. They don’t have flight update boards, and there wasn’t any staff around to ask. What’s your dream destination? Amalfi Coast, Italy. Favorite travel charity: Red Cross. Best travel tip: Keep an open mind, don’t be afraid to try new things and speak to the locals.